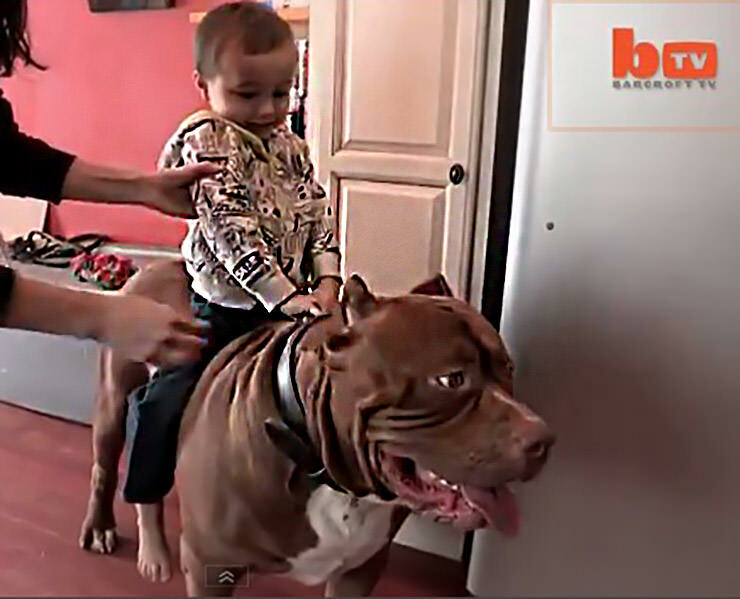 Suitably named Hulk, an 18-month-old Pit Bull who weighs 175 pounds may just be the largest of his breed in the world. Despite his intimidating size, Hulk’s owners Marlon and Lisa Grennan say he is the sweetest dog out there and best friend to their 3-year-old son. He is kind and affectionate toward kids and even allows the youngest Grennan to ride him. While Pit Bulls are usually considered dangerous beasts, Mr. Grennan claims they are wonderful family pets who get along great with kids. Although Hulk is still a puppy, he is nearly three-times bigger than a typical American Pit Bull Terrier. The Grennans are aware that he could grow bigger but they believe the bigger the dog, the better. However, the couple has experience with fearsome dogs as they own Dark Dynasty k9s, a private kennel that breeds and trains formidable guard dogs.